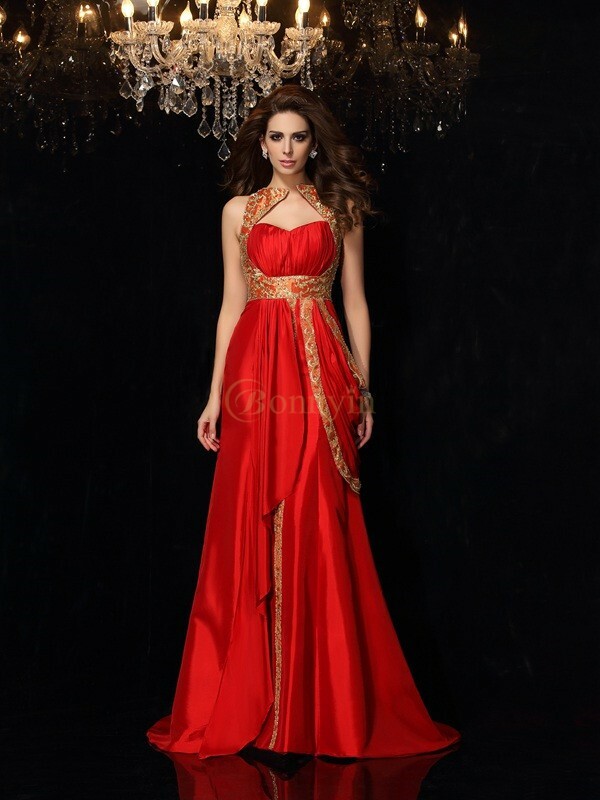 Buy Red Taffeta Sweetheart A-Line/Princess Sweep/Brush Train Dresses in Cheap Prom Dresses - Prom Dresses - Special Occasion Dresses at Bonnyin.ca with low price and high quality. I was so nervous to buy a dress online for an upcoming wedding. When the dress quickly came I was so worried about trying it on and it not fitting but it fit perfectly. The quality is better than other dresses found in main stream bridal shops. I would order again and suggest it to anyone. I've been very happy so far! I've had a great experience with this site. Everything I have ordered so far have been very true to size, which is so great considering I'm ordering from online. These items have also have had great quality.